We live and work by a strong code. And that code consists of extraordinary characteristics such as loyalty, dependability, honesty, transparency, diligence, resilience, compassion, courage, and integrity. Our team possesses all of these qualities and that’s why we feel confident to have them represent us and serve people like you. Rem is the founder and CEO of Confidence Wealth. Since 1990, Rem has worked extensively with the financial industry by building portfolios and engaging the investment markets. In addition, he also completes due diligence and research on a variety of large complex investment instruments. With intensive understanding of the investment world, he has spent a considerable amount of time utilizing various technical analysis, stock trends, and methodology for interpreting the quantitative predictability of investors’ behaviors and markets going back to the 17th century. His knowledge of various market conditions through past eras has guided Confidence Wealth and its clients through market crashes and economic downturns. Always evaluating, Rem brings his extensive experience to all aspects of Confidence Wealth. His ability to understand and quantify risk has enabled him to successfully navigate through financial uncertainties. Always researching, Rem constantly looks for upcoming trends and patterns to help benefit Confidence Wealth clients. With innovation and forward-thinking as the driver, he successfully masterminded the direction and vision of Confidence Wealth. He focuses on strategy, leadership, and technological advances in the ever-changing landscape of the investment world. In addition to Confidence Wealth, Rem has also founded multiple companies and has been asked to advise multiple corporations throughout the years. His business acumen and unconventional insights has helped those corporations with enhancing their strategy, and ultimately, their revenue metrics. He is also Chairman of the Board of The Money Confidence Global Initiative, establishing this philanthropic movement to promote financial education worldwide. On a personal note, Rem is an accomplished Japanese martial artist, having a black belt in Shotokan (松濤館). He has studied around the world with many instructors, most notably Sensei Terrece Odesho and Sensei Hidetaka Nishiyama, a direct student of Sensei Funakoshi who is considered the father of modern Japanese karate in the late 1800s. Going into the 1900s, Sensei Nishiyama sadly passed away in 2009, and his legacy will not be forgotten. Rem applies the principles of Shotokan in his businesses by advocating strong defensive measures combined with significant, steady and precise offensive capability when needed. He also spends his time in exclusive masterminds with some of the most recognized names in the world. With a passion for innovation, he is plugged in with different industry leaders and many of the nation’s top CEOs. Crystal oversees and monitors the company’s financial activities and manages all Confidence Wealth Management real estate and facilities. In addition to her role as the Chief Financial Strategist, Crystal is the author of Money Confidence: Advice for Women to Take Control of Their Financial Freedom Now and Your Personal Money Diary. She is an experienced licensed retirement income strategist and a national financial motivational speaker. She is also a TV and radio personality who has appeared on CBS News, Fox Business, ABC, NBC, KFI, KTLK, KRLA, KDAR, and KKLA. She has also been featured in publications such as Entrepreneur, Yahoo! Finance and Redbook. Crystal has been a guest speaker at numerous events sponsored by organizations such as the National Active and Retired Federal Employees Association (NARFE), the Screen Actors Guild (SAG), the Motion Picture & Television Fund (MPTF), California Women’s Conference, the Los Angeles Women’s Expo, An Empowered Woman, and the Guam Women’s Leadership Retreat. 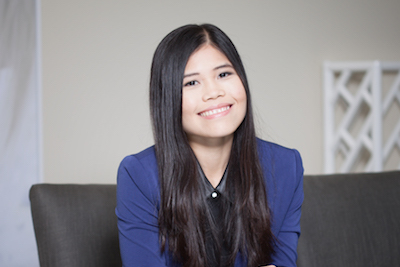 In a world where many women often feel at a loss when it comes to their finances, Crystal Oculee empowers them with the tools and confidence they need to get the results they’re seeking. She is passionate about helping women deal with the unique financial challenges they face. With a deep understanding of women’s issues and a passion for change, she has taught thousands of women to take positive action in their lives and stand up for themselves, their money, and their futures. Crystal is also Vice Chairman of the Board of The Money Confidence Global Women Initiative. She strongly supports the financial education of women worldwide. On a personal note, besides spending time with her family, Crystal loves riding horses and swimming with dolphins in her free time. Her hobbies also include watching documentaries and The Food Network channel. She is a huge fan of Iron Chef because of its competitive nature. 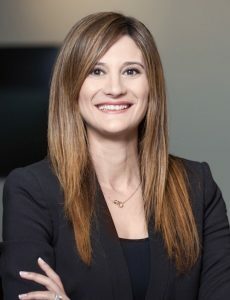 Silvia’s role at Confidence Wealth is to help the leadership team think through strategy decisions in order to better support our clients and ultimately their families. She leads the advisory team and is constantly striving for improvements. She is a well-seasoned and experienced wealth manager. She has assisted hundreds of families with their retirement planning needs for over a decade. She first entered the financial services industry in 2007. She was disappointed and disillusioned with the lack of attentiveness towards consumers. Upon hearing about Confidence Wealth, she became immediately attracted to the company’s core mission and values. Silvia brings an abundance of experience and knowledge to her role as a wealth manager. She specializes in retirement income analysis. 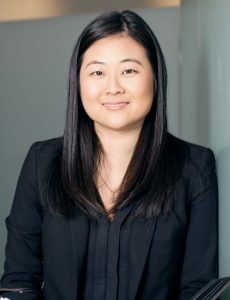 She works closely with clients to develop customized financial strategies that incorporate asset allocation, financial management, retirement planning, college planning and succession planning. Helping people, whether it’s planning for retirement or college expenses, is truly Silvia’s passion. In addition to developing a custom financial strategy for each client, she conducts regular meetings with clients to review performance, re-confirm financial goals and make adjustments as economic or lifestyle conditions warrant. On a personal note, Silvia loves spending time with her husband Wayne and her baby Brady. She is enjoying the experiences of motherhood! She also loves to travel, especially to destinations she’s never been before. She is an athlete and enjoys playing competitive sports, particularly tennis and ping pong. In fact, the firm bought a ping pong table just for her. If you ever visit our main office, be sure to challenge her to a game! Jeff is the Director of Advanced Strategies at our affiliate company Confidence Life Insurance Solutions LLC. Originally from College Park, Maryland, Jeff assists Confidence Wealth Management clients with wealth enhancement and protection needs using sophisticated financial, insurance and estate planning strategies that are designed to impact their net worth and legacy. Chairman of the Board of the Los Angeles Jewish Chamber of Commerce (lajewishchamber.com) for ten years. 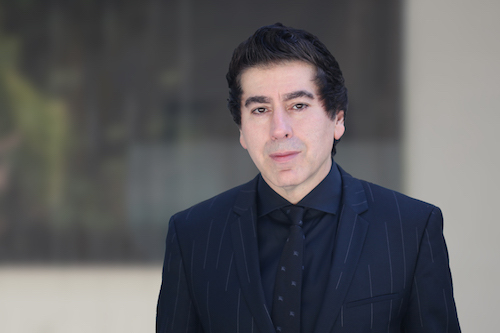 He has been providing financial services and advanced insurance planning to businesses and individuals in Los Angeles and the surrounding areas since 1990. Michelle’s background in relationships, promotions and event management gives her a special insight into the unique understanding between the firm and the consumers’ needs. She is responsible for the marketing and communications of the firm. She manages and oversees sponsorships, events, media relations, and branding. Michelle is a passionate and versatile professional who thrives being an asset to society. As a member of the Neptunian Woman’s Club, she is dedicated to volunteerism and fundraising in support of charitable, educational, cultural and civic services. On her free time, Michelle enjoys hiking, gardening, and photography. Jenny’s role is to provide world-class operational service to the Confidence Wealth clients. She successfully streamlines operations and increases productivity by using proven methods and cutting-edge technology. She is a dedicated and effective leader. As an assertive and enthusiastic member of the management team, she enriches her education with extensive knowledge of process optimization and demonstrates an unsurpassed work ethic. While her main focus is the Client Service department, she is also dedicated to making sure all departments are running smoothly and that there is sufficient communication within management to ensure that our client experience is top-notch in the industry. On a personal note, Jenny’s favorite food is cheese and is known as the resident “cheese connoisseur” amongst her colleagues. She loves spending time with her family and goes to museums in her free time.